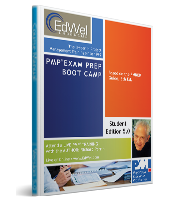 Here are the first few chapters of our PMP course manual. It is the most comprehensive and highest quality training manual available. Click image to preview textbook.